The Allsteel Power Hub increases flexibility by providing a range of solutions – from individual, focused workstations to collaborative areas, each connecting people to power and data. Previously, connection to power could limit space configuration options, but with the Power Hub, power becomes the catalyst that allows users the agility to do their best work in a wide variety of settings. The Power Hub connects people to power and data. It can be either beam-connected or freestanding. 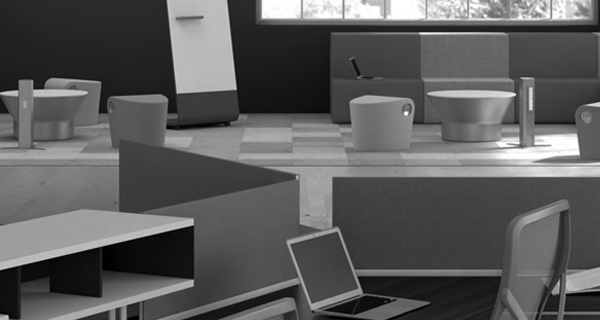 And it empowers workflow by powering individual, collaborative, and team-based spaces. It easily reconfigures, accommodating whatever the moment demands, wherever it’s needed. The collaborative freestanding hub offers ready power and planning freedom. Available either hardwired or corded, to support an interactive environment today or a workstation in the future.